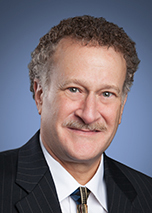 Edward L. Weiner, founder and senior partner at Weiner Spivey & Miller PLC of Fairfax, is the Virginia State Bar’s new president for the 2015-16 term. He heads a state agency that regulates and supports 48,000 Virginia lawyers. He was sworn in June 19 during the VSB’s annual meeting at Virginia Beach. Weiner, founder and senior partner at Weiner Spivey & Miller PLC, is a former chair of the VSB Conference of Local Bar Associations. He is immediate past president of the Fairfax Bar Association and a past president of the Fairfax Law Foundation. He was also appointed by the Supreme Court of Virginia to serve on the faculty of the Virginia State Bar’s Harry L. Carrico Course on Professionalism. Weiner is a member of the board of directors of the George Mason University Center for the Performing Arts and host of an annual Law Day celebration that benefits the Fairfax Law Foundation’s pro bono programs. Weiner is the founder of Jazz 4 Justice, a fund-raising model that partners local bar associations with university music departments to raise money for legal aid and pro bono programs as well as music scholarships. Weiner graduated from the State University of New York at Binghamton. He received his law degree from the University of Richmond and his LL.M in international law from the Georgetown University Law Center. He and his wife, Maura, have two daughters, Maurissa and Brianna.